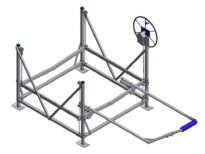 Boat lift accessories relieve a lot of stress and work. You don’t have to worry about the hull and motor getting fouled after sitting in the water for too long. Think of the time and work you’ll save by not having to put your boat back on the trailer every time you use it. It also relieves your stress during a storm. 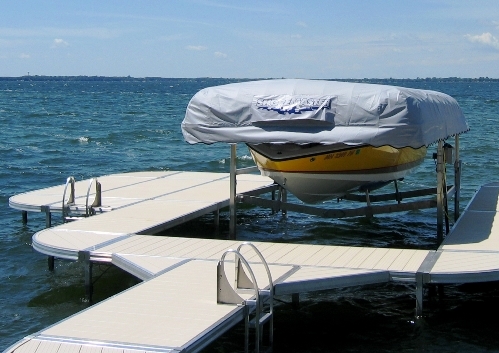 Life is just better when you’ve got a boat lift with the right accessories to protect your boat. Accessories for your boat lift include things like solar systems and wireless remote controlled lift motors or a simple canopy. Guide-ons make it easier to get the boat on the lift and keep both the boat and lift from sustaining damage in the process. Vertical PVC guide-ons which consist simply of vertical PVC or foam posts, often covered by fabric. As the name implies they guide boats to help you get your boat onto the lift correctly. Much more popular are the full-length guide-on systems. Full-Length guide-ons consist of a pair of wood or aluminum guides that mount near the sides of the boat rack. They can adjust both horizontally and vertically for a perfect fit to your boat. They are a physical aid for centering and loading your boat onto the lift. The guide-ons come carpeted or with a vinyl covering. Vinyl covered guides greatly reduce the maintenance of the guides and are preferred by most boaters. Bow Guide/Stops are a bow-shaped beam at the front of the lift. They keep you from overrunning the boat lift. They ensure proper positioning without effort. It prevents the boat from being pushed too far into the lift by the waves. A properly positioned boat helps reduce the strain on the cables by applying equal weight to all the cables. This is crucial to the life of the cables. As the names imply the tube supports sit under the tubes and the deck support is under the deck. Opinions differ on which one is better to use. It all comes down to personal choice. as an electric lift motor. 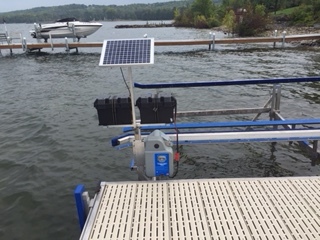 A solar system consists of a solar panel which can attach to the boat lift or battery box. The kit will charge either a battery in a battery tray, or directly charge the battery in your PWC personal watercraft or boat lift. We size the panels and batteries to match your needs. Install a solar charging system, and you can keep your 12v or 24V batteries or personal watercraft motor charged all summer with no hassle. Ever tried to get started early in the morning or return late at night? Maybe it’s an early morning trip or coming in late at night. It’s always best to be able to see what you are doing. Maybe it’s making sure everything is battened down during a storm. Sometimes, you have to raise or lower your boat while it’s dark. Finally, it could simply be lights to allow you to see your lift from afar. Having lights can be a lifesaver. 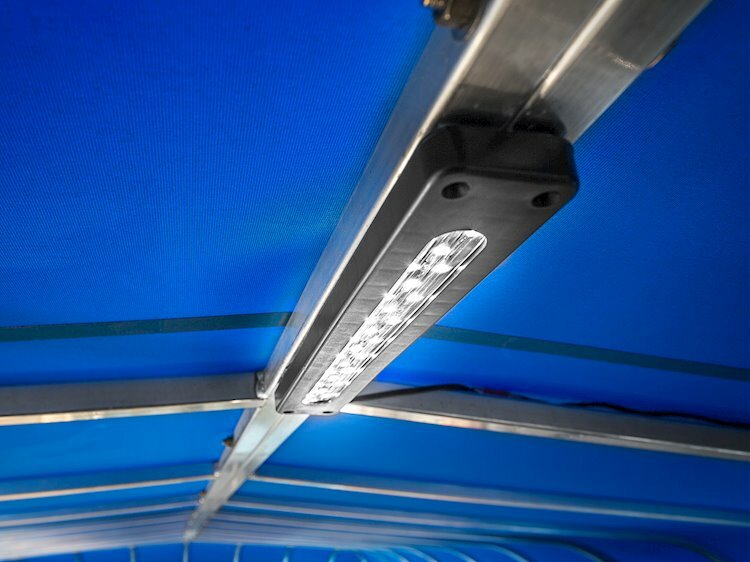 Install an LED light system to provide lighting for your dock and boat lift. Hint: Place a red and green light at the end of your dock, so you know what side you are approaching in the dark. Do you need a light to safely board or exit your boat? 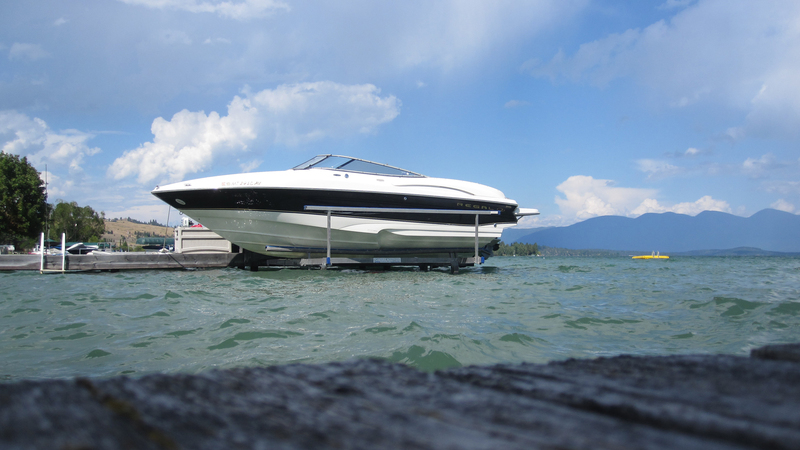 These benefits can all be integrated into an electrical system of your boat lift. You can get the power from your solar panel system. Use a wireless remote to turn the lights on and off. 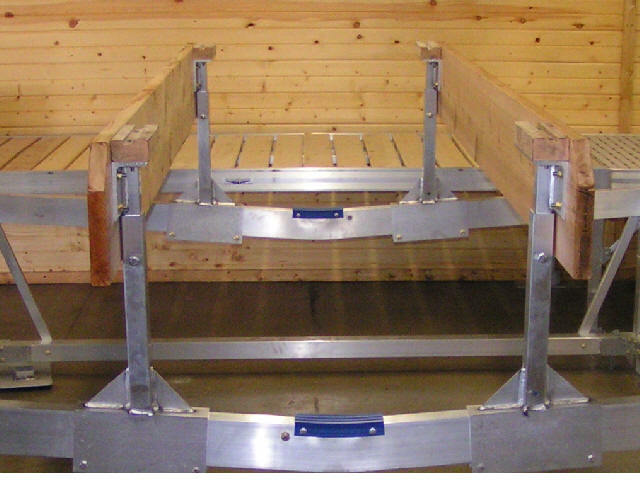 Cradles and bunks for your lift support your boat on the lift safely. There a whole range of different types of hull supports you can install on your boat lift to get that perfect fit. Cradles are pivoting pads that stabilize and support the hull of your boat. Today, these are seldom used. People prefer the use of bunks which distribute the weight over a large area. covered in vinyl which resists the adhesion of sand and debris. 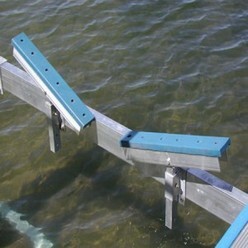 They can be offset toward your pier for easier access as well. A boat lift motor is a popular accessory when you get tired of trying to raise your boat by hand. You’ll probably get one because your better half or the kids have difficulty turning the large wheel. No one has ever complained about having a motor on the lift. They only wish that they had done it earlier. 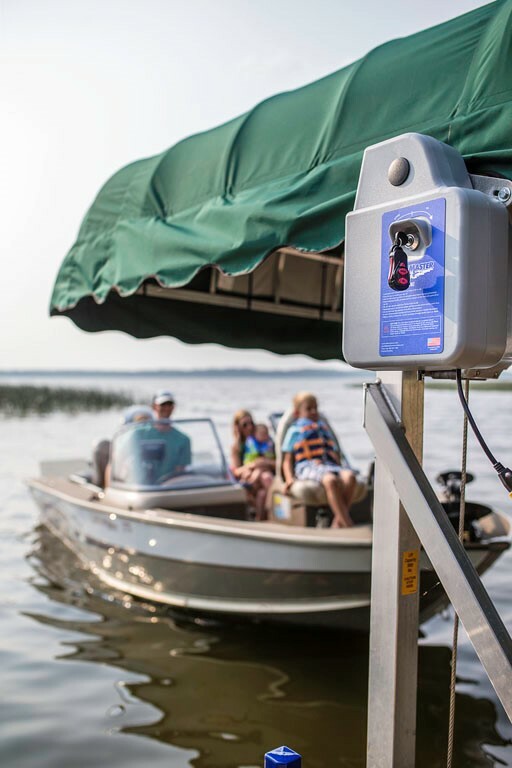 Once you’ve started to accumulate accessories for your pier and boat lift, you may want a more convenient way to control it all. That’s where a wireless remote comes in. your LED floodlight system. This means you can turn on the lights and lower your boat into the water before even setting foot on the dock. 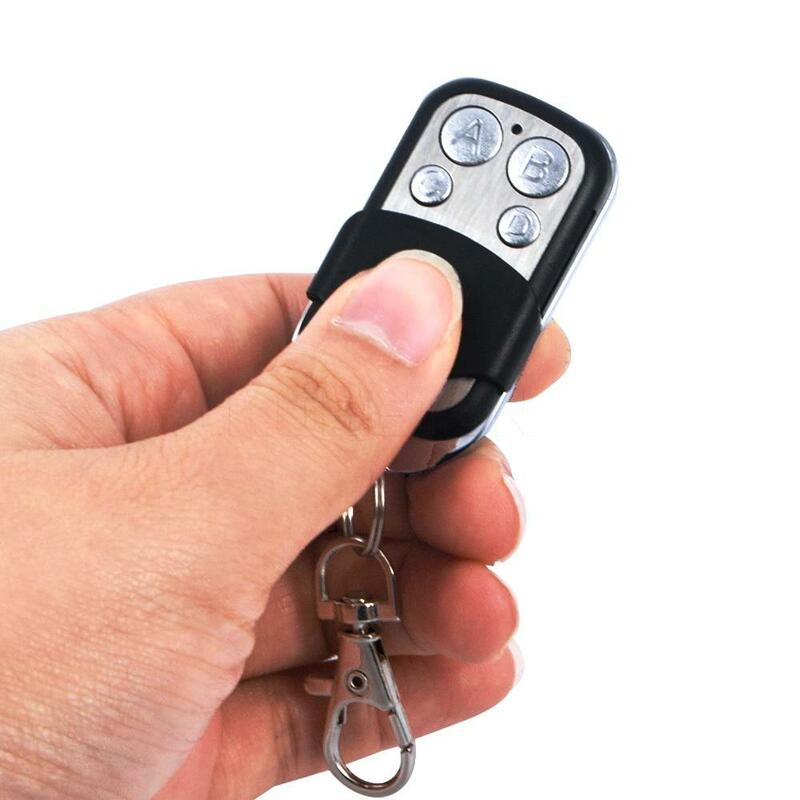 If that’s not convenient enough, you can even put the key fob remote on your keychain, so it’s always on hand. If you can open your garage and unlock and start your car with a key fob, why not make it just as easy for your boat? Depending on what sort of accessories you’re interested in, such as the bunks and cradles, it’s probably a good idea to get professional help choosing and installing these accessories. 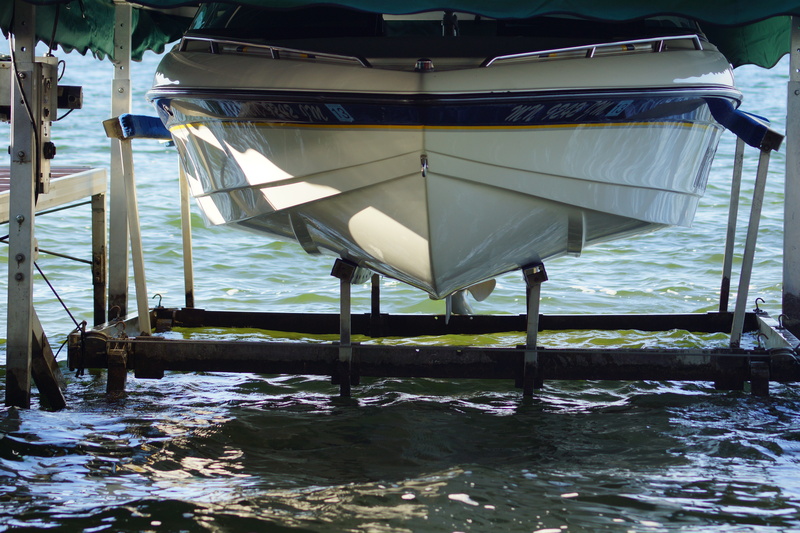 PWS is a team of professionals, and we’re well-equipped to handle any maintenance you need for your boat lift in the Door County area. Give us a call today and let’s discuss how we can make your boat lift and pier as convenient to use as possible! Contact Pier & Waterfront Solutions Today! PWS is located at 7325 St. Hwy 57. That’s 1 mile North of County MM (Hwy 42) and 3 miles South of Sturgeon Bay at the Idlewild Road intersection. Our staff is here year-round to assist you.